Employing an eye catching fantasy styling, the Saw Tooth Leaf Bladed Short Sword features blade with symmetrical cutouts throughout each edge to create a design which cuts, snags, and tears upon impact for enhanced damage. The blade is shaped like a leaf, with a wide base which grows slender toward the middle and expands for a wide belly, then tapering sharply into a fine point. It is crafted from stainless steel and features a black finish with zombie themed accents. 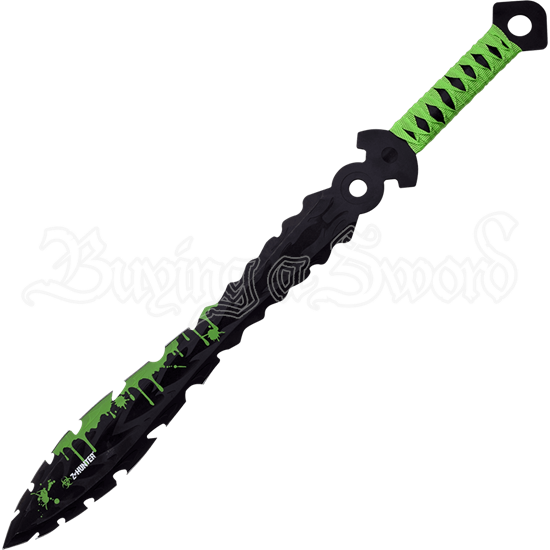 Complementing the vibrant green decorations on the blade, the handle is wrapped in matching green fabric for a comfortable grip. A black nylon sheath is included with this leaf bladed sword to allow for its safe storage and transport. 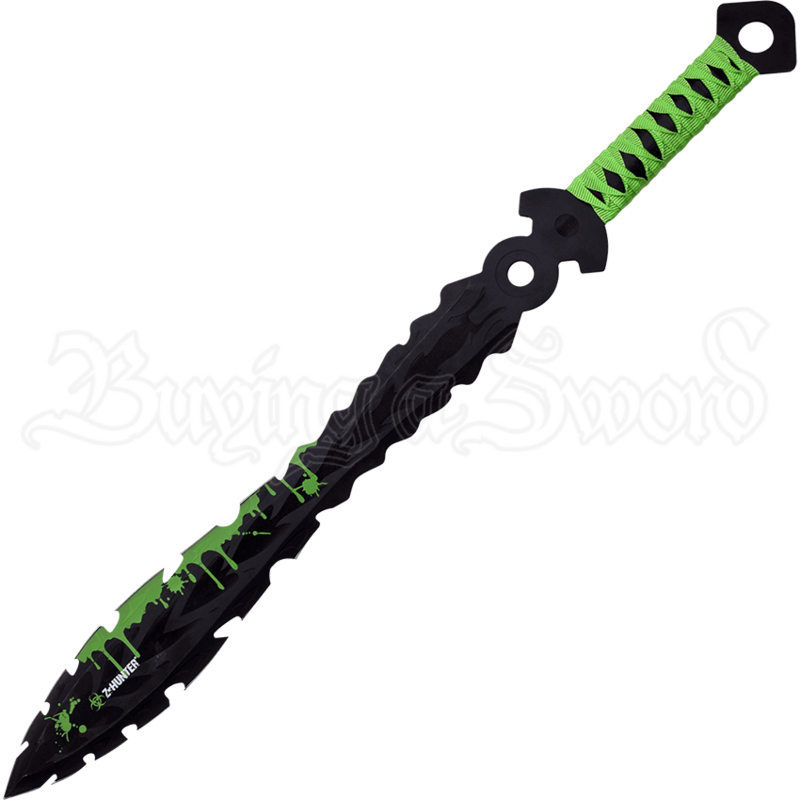 The Saw Tooth Leaf Bladed Short Sword is an exceptional weapon for improving your odds after a zombie outbreak.